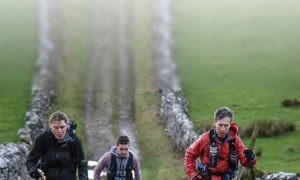 Despite the rain wind and low temperatures on Sunday, 310 of the 439 who started the event completed the 100 miles of walking and 14,000 feet of climbing around Llandrindod Wells in under 48 hours. 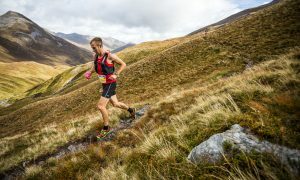 Local Doctor Mike Warwick was the second ‘runner’ home in a remarkable time of 22 hours 50 min only three quarters of an hour behind the UK Trail Running champion, Jez Bragg from Solihull. Philip Kendrick also from Llandod finished strongly in 26 hours and Mid Wales ladies Valerie Price West and Sahrah Wilding both survived two nights of bitter cold to complete the gruelling event in 38 and 45 hours respectively. 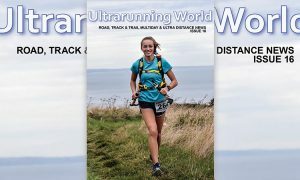 The first lady home was Marie Doke from London in 27 hours while the youngest entrant to complete all 100 miles was 22 year old Kerry Scrivener from Essex. Of the twenty starters in their seventies, ten completed the course, with the oldest finisher Jim Ayling from Taunton disregarding his 75 years by finishing in 41 hours.